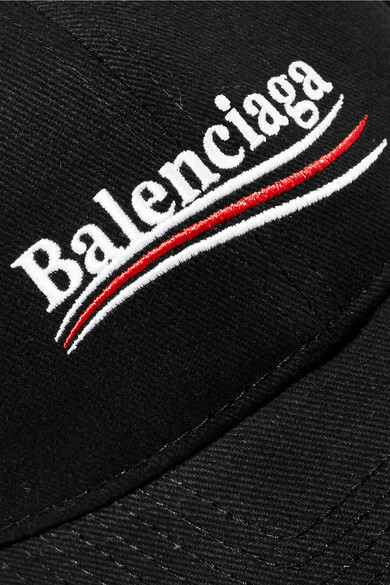 Inspired by the 2016 US presidential campaign, Balenciaga's baseball cap is embroidered with the brand's logo and three flowing swooshes. 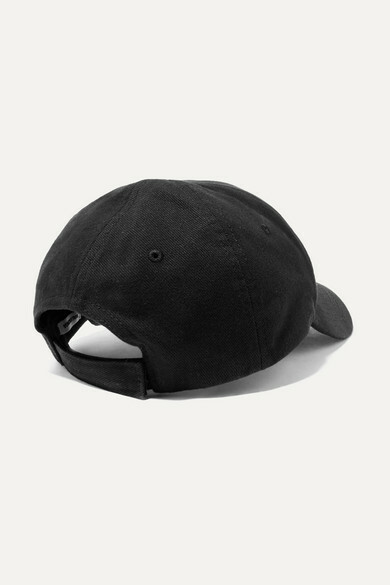 It's made from cotton-twill with a Velcro®-fastening tab for a secure fit and a curved brim to shade your face from the sun. 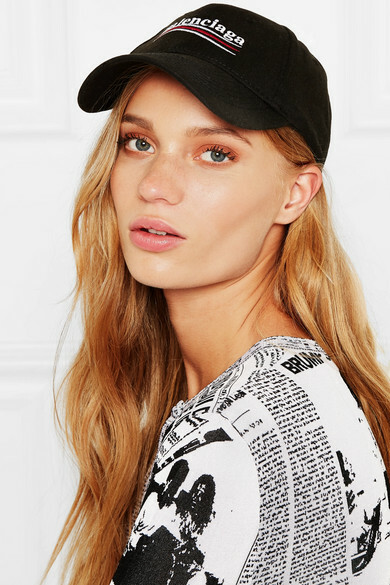 Wear it to add a subtle flash of color to monochrome outfits. Shown here with: Balenciaga Cardigan.